I got a little confused when researching on where to stay in Brasov. After a lot of reading up of reviews, we finally settled on Kronwell. It looked modern, clean, there was parking, and I was running out of time – we had to agree on somewhere. We ended up staying for 3 nights here, using it as a base to do mini-road trips within Brasov and beyond. Honestly, when we first checked in, I was a little disappointed. 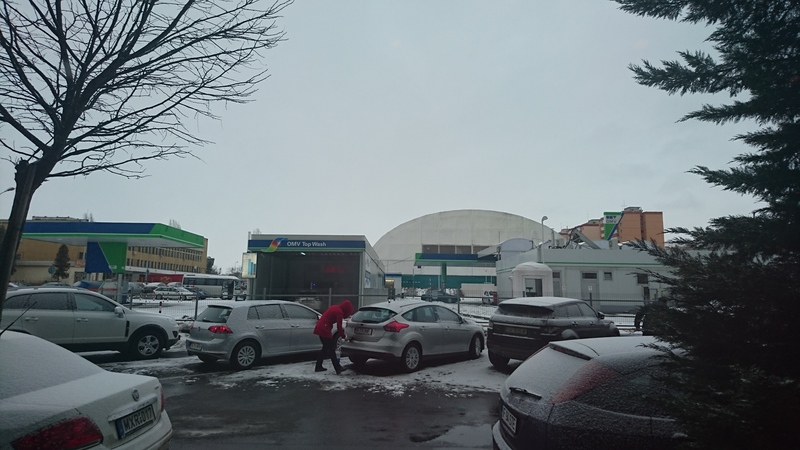 The hotel is located in a “not-very-picturesque” part of town (a petrol station, parking lot, and train station within eye-sight), and was not of walking distance to the Old Town. This meant that we would have to drive there every night for food or to walk around (my own fault, I should’ve checked up the details) – which would be a hassle as we were travelling with a then 7-month old. After 3 nights staying in Kronwell, we decided that it was actually good that we did end up staying there. Keep reading. The room is exactly as the photos show – very modern and clean, which I didn’t see in the hotels located in the Old Town itself. Whilst it was comfortable with heated bathroom flooring as well, we felt that the lighting design was very odd. Lights were installed within individually recessed parts in the ceiling, which meant that it very dim throughout – bedroom, bathroom, toilets. Quite an inefficient way of utilizing power. Maybe it’s an interior design thing that we just didn’t get. They do have cots for babies which was great. 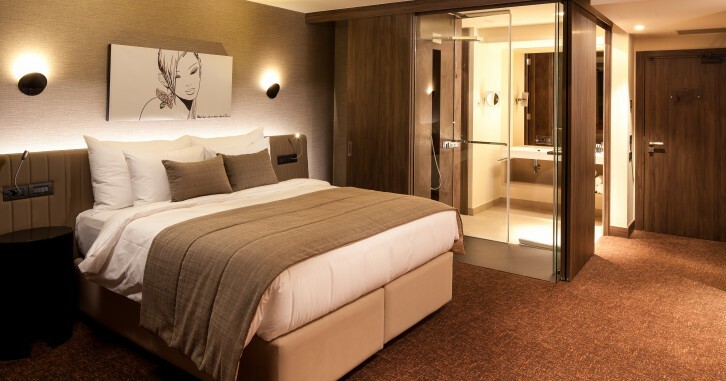 Absolutely no issues with the comfort factor – the beds, duvet, the temperature and pressure of water, the amenities. b Just the lighting. Oh, and the fact that they give you just two tea bags each day. Two. For two people. Nothing more. Loved it. Extensive spread, including bubbly for breakfast if you wanted some! Lots of couches as well, and they do provide high-chairs if required. Staff was polite, nothing over-the-top. Possibly the highlight of our stay in Kronwell – the Belaqva Spa. Heated, indoor pool. Very high quality finishes – heated flooring all throughout. A small hidden jacuzzi area with the coolest jacuzzi lean-back seats I have ever been on. They shoot out ice-cold water onto your body whilst you lay it on, massaging you. I don’t know how to explain it any better. They also have shower rooms – an ’emotional’ shower room and a ‘scottish’ shower room (ha ha ha) with lots of lighting, hot/cold water sprays. Awesome. (Does any of the spas in the UAE have something similar?) Also a salt room (! ), and the usual sauna, and steam rooms you get in Dubai. Ha, another highlight. If you can’t be bothered going out, just order room service – it comes to your room on a table/tray, and presentation and taste is as though you were in a fine dining in a restaurant here in Dubai. Food is reasonably priced (much cheaper than dining in Dubai for sure!) – I can’t remember the numbers but it would’ve been equivalent to 40-50 AED. Carparking outside the hotel, with one of the staff scraping snow off the cars! Cold! At the end of our stay, we decided that it was a good thing we ended up staying in Kronwell. It was comfortable, clean, modern, and very warm. Plus super convenient with free parking. No issues with sound as well, we all slept well. What is a Scottish shower? Hahaha! Yeah, fancy shower with lights sounds more like it. Have you been to Kronwell ? ?